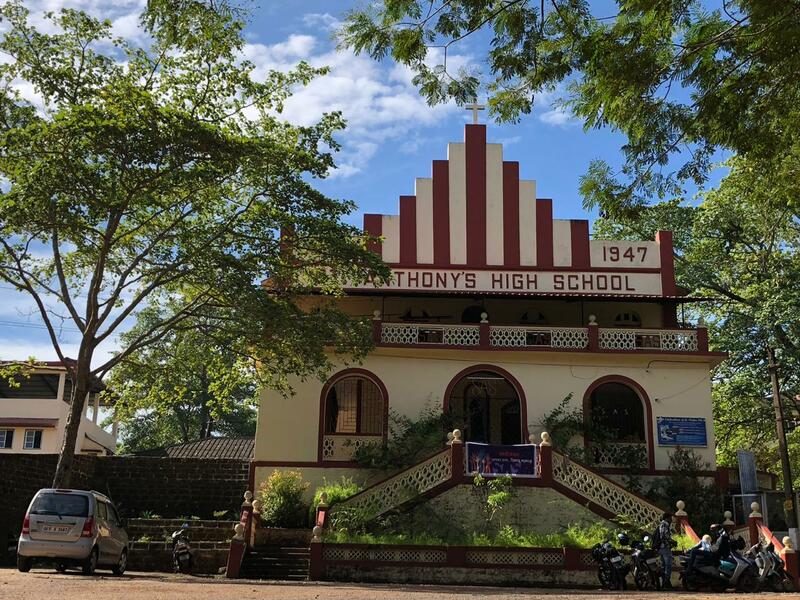 St. Anthony’s High School, Monte de Guirim is an English medium school. It is managed by the Franciscan Capuchin Friars, and is situated on the beautiful locales of a Hillock in Guirim. The idea of serving the people of Goa was conceived by the Capuchins as early as 1936. The idea was materialized only in 1941 when they pitched their tent on the outskirts of Mapusa (Karasko). They were planning to build their residence at Peddem when Fr. Hippolito da Luna (1909-1942) who was director of “Collegio de Santo Antonio” (a boarding school) approached the Capuchins and offered to hand over to them the school, boarding, Chapel and adjoining property on the hill. Since Monte de Guirim had a long Franciscan history behind it (Most of Bardez was under the Franciscans from 15th to 17th century). The Capuchins readily accepted it. They took over the school in May 1942. The aim of the institution is to afford to the youth of Goa, and India at large, sound and quality and all-round education by offering a complete course in literary, moral, religious, emotional and physical education. This school is open to all, irrespective of caste. 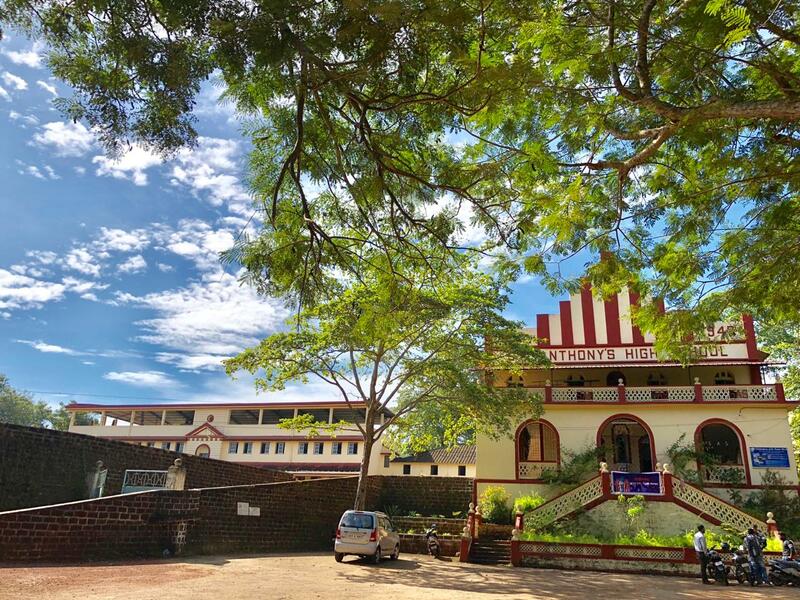 The aim of this institution is to provide to the youth of Goa and India at large, sound and quality education, by offering literary, moral, religious, emotional and physical education. The school is open for all irrespective of caste. There are a host of activities that take place in the school. They all aim to promote harmonious development both of mind and body. It is obligatory on the parts of the pupils to participate in all the co-curricular activities. AD ARDUA- towards higher greater achievements. Facilities for all round development of the pupils are provided for them to help them to attain the aspirations spelled out in the motto. Every year 45 students get scholarships and 90 freeships for students for working hard from the beginning of each scholastic year.